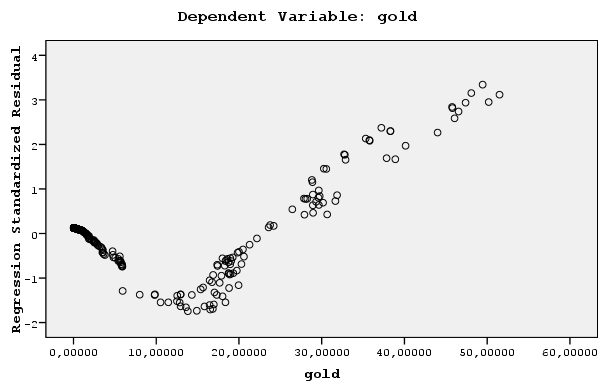 As mentioned in the study, there have been so many studies for understanding the relationship between gold and USD. Here in this study, we will try to find the correlation of USD and gold by using their TL based values. These studies should be also conducted regarding the time series studies but here we will be focused on standard regression analysis. The aim of the research is finding the relationship between the prices of gold and USD in order to lead the investors to better financial decisions on these investment instruments. The data set has been extracted for the period covering 1990 to 2009. The data have been extracted from TCMB (Central Bank of Turkey) website. 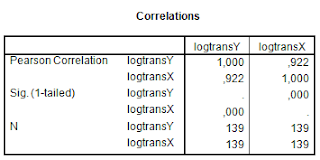 Correlations analysis and the simple regression analysis have been used to determine the relation between two variables. SPSS 15.0 has been used to analyse the data. 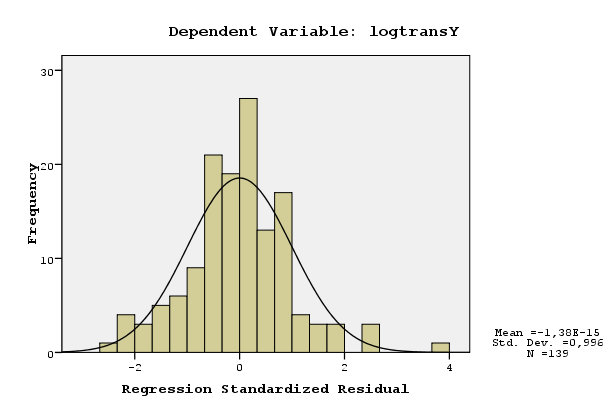 Independence of Error Terms: Successive residuals are not correlated. If they are correlated, it is known as autocorrelation. For autocorrelation we have analysed the durbin watson statistics from the following output. The relevant statistics is should be around 1.5-2.5 in order to show that there is no autocorrelation however, it is very much smaller then the lower cap. This shows that there is autocorrelation. If we had only looked at the R value (correlation coefficient) we wolud have concluded that the correlations is high between these variables. 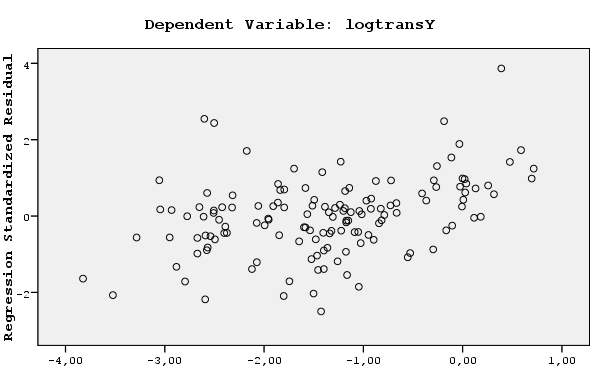 But due to the high autocorrelation the R is not reflecting the true correlation. The following figure also shows the autocorrelation. As the value of the gold increases the values of the residuals increase. Therefore, we need to make transformations on y (gold) and x (USD) variables by using the following methodology. ρ has been calculated to be 1 (very strong autocorrelation) and after all of these transformations the following table is handed. After understanding that there will not be autocorrelation in the following linear regression equation, we will try to analyse Homoscedasticity. The third assumption is that there is no multicollinearity but since this is applicaple only in the multi linear regression models we don’t need to analyse this. 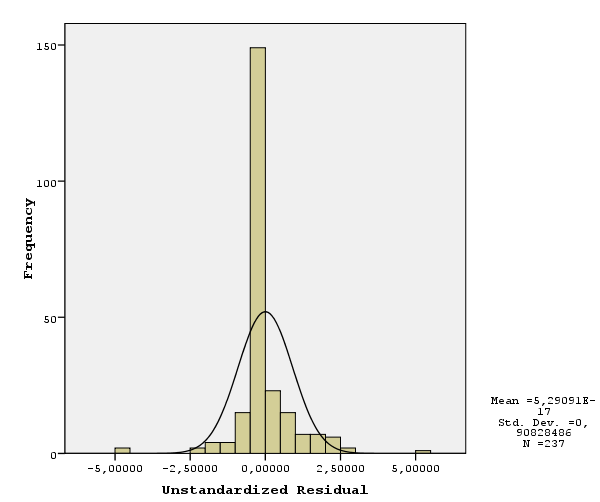 The ratios of Skewness to its standard error and Kurtosis to its standard error are analysed. The ratios are 2.32 and 33.12 respectively. Since both of them are higher than 2 we can say that the distribution is not normal. Therefore another transformation should be applied on the data. Afterwards, the normality again was not satisfied. Due to this we have put some of the data (outliers) out of the analysis since they were increasing the kurtosis and skewness. These data are as follows: July97, Aug00, Feb01, Jan03, Jun04, Sep04, Apr05, Nov05, Nov06, Feb08, Marc09 and Oct09. Afterwards, the distribution becomes more normal. Very high and positive correlation (92.2%) has been found as follows. According to the following table the durbin watson stat seems to be fine. Furthermore, the following polts sho that there is no autocorrelation. According to the following table the significance level is 0% which shows that the model explains the relation between two variables. The significance of the coefficients are good enough. The conclusion is there is positive and high correlation between USD and gold in terms of TL prices.